[Word Wise] What’s a Listicle and How Do I Write One? 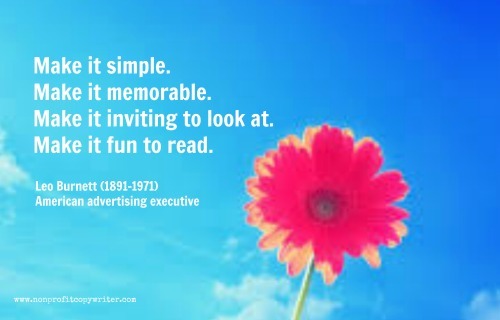 Learn from a Bestselling Author … for Free! Joanna Penn is a NY Times and < /> bestselling author – and a self-publishing guru. She started self-publishing her own books in 2008 and now shares how you can do it, too, in her free book, Successful Self-Publishing , available for free on Kindle. Take a look. 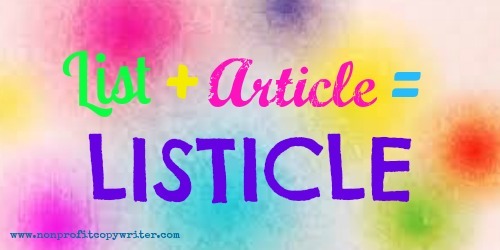 FEATURE: What’s a Listicle … and How Do I Write One? It’s a catchall phrase for any article in list form. Listicles are popular for lots of reasons: they are fun to read, easy to write, offer practical or unusual information, and are sharable – which is especially important online. It’s the structure that makes them unique: it’s a numbered list. Each item on the list makes a separate pint. The number of items is announced in the headline. For example: 7 Tips for Summer-Weary Moms . But that same structure that makes the format unique can be its downfall. For writers, it can be tempting to use a numbered list as a crutch ... and your list-article is tedious or hackneyed. Snore. Isn’t this more interesting? Once you have a headline with a twist … (read the full article here). 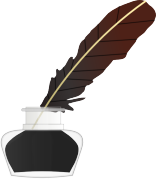 Check out other article writing helps on our Article Writing Pinterest board.